This deliciously rich Aveda Hand Relief is a hand cream packed with vitamins A and E, exfoliating fruit acids, hydrating plant emollients and humectants, antioxidants that help diminish signs of aging and other plant-based ingredients for optimal relief. It has been scientifically formulated to give an extreme moisture therapy to your hands. It will soothe dry, chapped hands, leaving them noticeably softer and smoother. Apply liberally to clean hands. Always go back to this - divine smell and does a wonderful job of keeping your hands soft and looking good. Lasts a long time as well and usually buy one for me and my Mum. This hand cream smells absolutely gorgeous. It is very rich so I only use it at bedtime as it would be too slippery to use during the day. I have very dry skin and it seems to sit on the top but I am sure it is doing some good, I have only used it for 2 weeks so far. In the daytime I use Lotil which is very good, don't know if you can buy that on this site. Lovely product ,age spots nearly gone and hands very soft and look so much better looking. My hands are not dry anymore! This is the best hand cream I have ever used, it is excellent for dry skin, non greasy and the cream absorbs into the skin well! 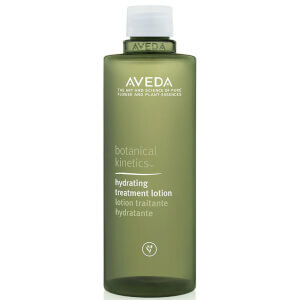 Love Aveda Hand Relief. I only use it at bedtime because it's so expensive, and it may just be coincidence but since I've been using it I find I don't have to apply as much hand cream during the day. I wish it was cheaper but it's fabulous stuff. Try it! 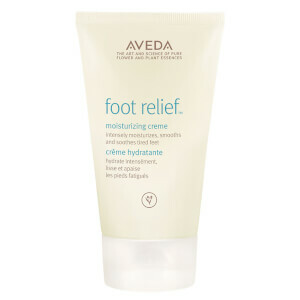 This Aveda Hand Relief is just the best hand cream, I love it! I have always had extremely dry skin and have tried many products but the Aveda hand relief is truly great. Highly recommend. Love this product! Fresh yet earthy fragrance at the same time. And leaves hands feeling moisturized but not greasy. Love it so much I bought 2--1 for home and 1 for work. Would thoroughly recommend! 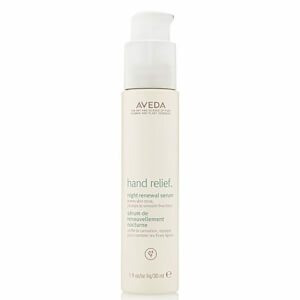 Aveda Hand Relief is a wonderful hand cream. I first tried it at my hairdressers and loved the fact that my hands stayed soft and smooth for ages. At my age (50s), hands can be a real giveaway! This helps smooth out lines and feels marvellous. It's gentle, with a natural smell. It's nice and creamy, but not greasy.I really recommended it for anyone with dry hands.